Born: 1 April 1878, Durban, South Africa. Walter Herbert Pay was the eldest son of Edward R.E. Pay of Durban, and grandson of George Pay, a colonist who came to Durban in 1850. Walter was educated at Hilton College and Durban High School and passed the matriculation examination of the University of the Cape of Good Hope in 1894. On 1 September that year, at the age of 16, he was appointed as junior assistant at the Natal Observatory, Durban, under the government astronomer, E.N. Nevill*. Nevill also became government chemist, and in September 1897 he transferred Pay from the observatory to the Government Laboratory and trained him as chemical assistant. Pay joined the Natal Mounted Rifles as a volunteer in 1898 and in September 1899 was called up for military duty at the outbreak of the Anglo-Boer War (1899-1902). He took part in the defence of Ladysmith and served until 1901, earning a medal and bar. By this time he was a Fellow of the Chemical Society (FCS). In November 1902 Pay received a permanent appointment as senior assistant analyst in the Government Laboratory, and claimed to be the first Natalian to adopt the profession of analytical chemist. In 1904 he was awarded a patent for "a new and improved method of making food for horses and other animals, called maizine". He was again on active duty during the Zulu rebellion of 1906, earning another medal and bar. He became a Fellow of the Institute of Chemistry (FIC) and in 1908 published articles on "Denatured alcohol" and "Industrial alcohol" in the Natal Agricultural Journal (Vol. 11, pp. 45-52 and 577-583). In December that year he was appointed inspector of explosives for Natal, and represented the colony at the Explosives Conference in Cape Town in April 1909. 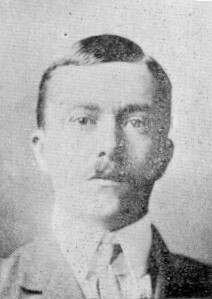 In March 1910 he became deputy controller of arms for Natal. Among others he compiled a Report on the circumstances attending an explosion of nitroclycerine which occurred in a nitrating and separating house at the factory of Messrs Kynoch, limited, Umbogintwini, Natal, on Wednesday, March 1st, 1911 (Cape Town, 1912). After the formation of the Union of South Africa in 1910 Pay was appointed inspector of explosives in the department of the government mining engineer, Johannesburg, in January 1912, a position he still held in 1927. During 1915 he was acting chief inspector of explosives for a period of six months, during the absence of Major A.B. Denne. Google scholar. http://scholar.google.co.za Publications by W.H. Pay. Natal [Colony]. Departmental Reports: Report of the Government Chemist, 1897, 1898, 1899, 1901, 1903. Natal Agricultural Journal, 1908, Vol. 11. National Automated Archival Information Retrieval System (NAAIRS). http://www.national.archives.gov.za/naairs.htm Documents relating to Pay, W.H.